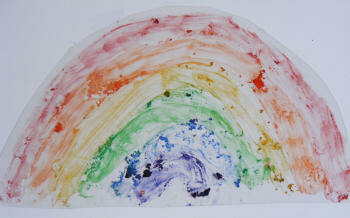 Use the glitter glue to draw a rainbow on the acetate. When the glue is dry cut out the rainbow and stick it to your window with sticky tack or small pieces of sticky tape. The sun will shine through and make the colours sparkle!